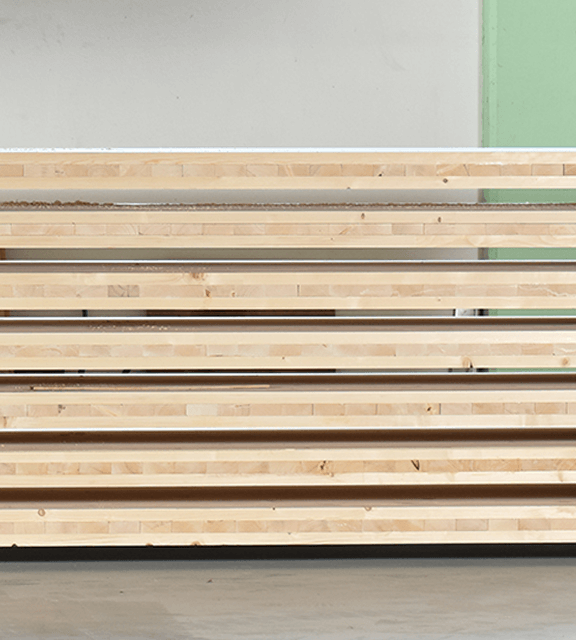 Cross laminated timber (CLT) is a sophisticated modern product that greatly improved the physical properties of traditional wood as building material. CLT is made of controlled dried wooden elements – laminates of uniform width, free of defects (knots, resin etc.). By removing all of the defects and cross-gluing the laminates it is possible to produce the material that has more uniform mechanical properties than the traditional wood, Just like with plywood, the layers of soft wood are positioned in such manner that the wooden grain of adjacent layers are mutually perpendicular. As with plywood, perpendicularly positioned elements create stability; however, greater layer thickness creates panels that are strong enough to be used as a primary structural elements without the need for brick or concrete as reinforcement. A CLT cross section contains a minimum of three cross-glued laminates, but most often five or seven. 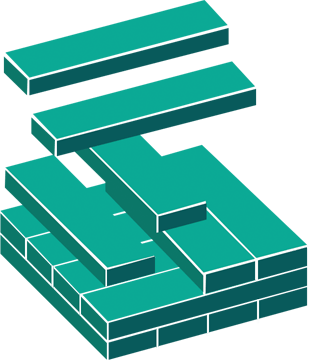 Alternate layers are mutually perpendicular; however, it is possible to double certain layers so that greater strength can be achieved in a desired direction. Laminate height within a CLT varies from 16 to 51 mm while width varies between 60mm and 240mm. Since CLT is delivered to construction site in prefabricated or modular form it takes on average 30% less time to complete CLT than a comparable concrete or brick and mortar project. Contributing to the speed of completion is also the fact that unlike concrete, timber is “dry” building material that does not require either the time to dry, or the time to cure and achieve its final strength. 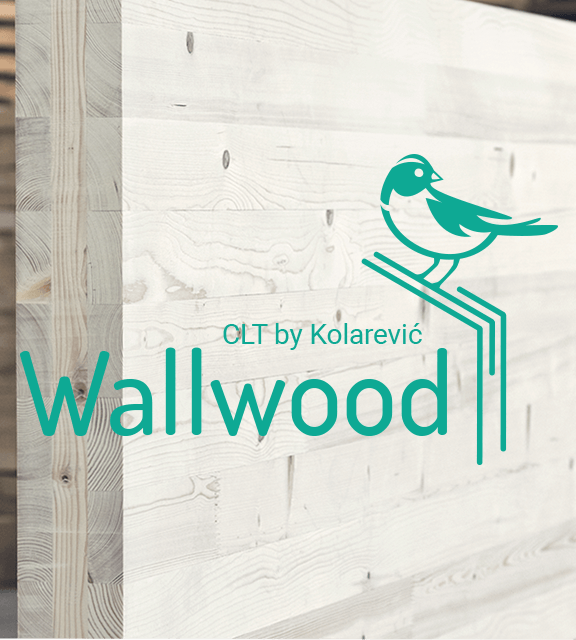 Fast growing easily accessible softwood keeps the price of CLT 5 to 10% lower than the competing concrete or steel construction. Timber’s great advantage is that it is a renewable resource, and in the process of growth trees absorb great amount of carbon dioxide. To produce one ton of concrete, steel or aluminium it takes 5, 24 and 126 times more energy respectively than for the production of timber. Timber is 5 times better insulator than concrete and up to 350 times better than steel.